Just find your favorites, add them to your cart at our amazing wholesale price and then viola! They will show up on your doorstep a few days later for FREE! or some Christmas prints and get a head start on that holiday sewing. Or GRAB BOTH because shipping cost is not an issue anymore! We still have hundreds of prints that need to find a new home before we close up shop for good. It's that magical time of year..... CAMPING SEASON! 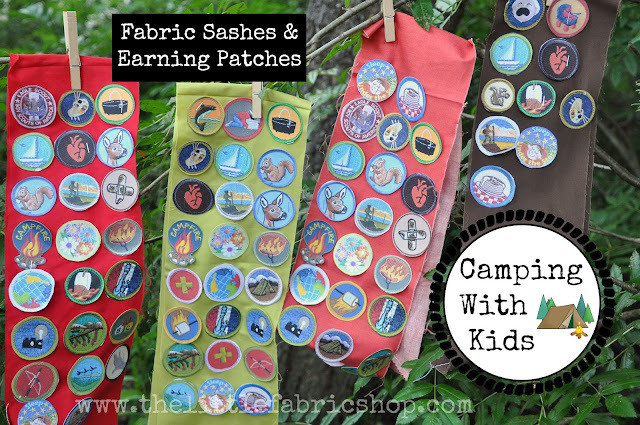 I wanted to share with you all an idea I came up with to help keep my kids happy and helping while on our last camping trip. I just took that 1/4 yard piece of fabric with the raw edge (it was a last minute idea so I didn't have time to finish the edges, but you totally could), and folded it in half right sides together and sewed it into a ring. 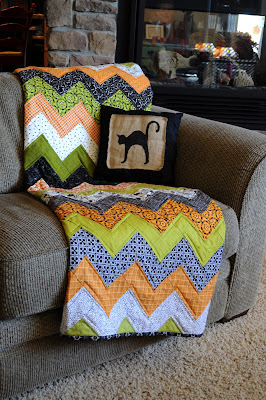 I used solid colors from the Smore Fabric Collection HERE. 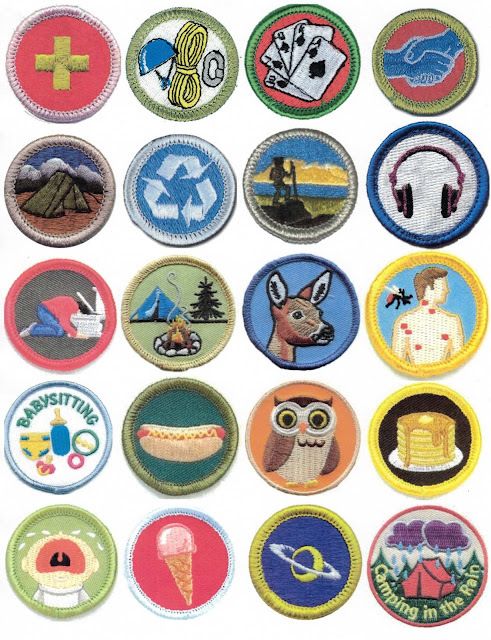 Then I printed off some cute and fun badges that the kids could work on at the campsite and through our trip. 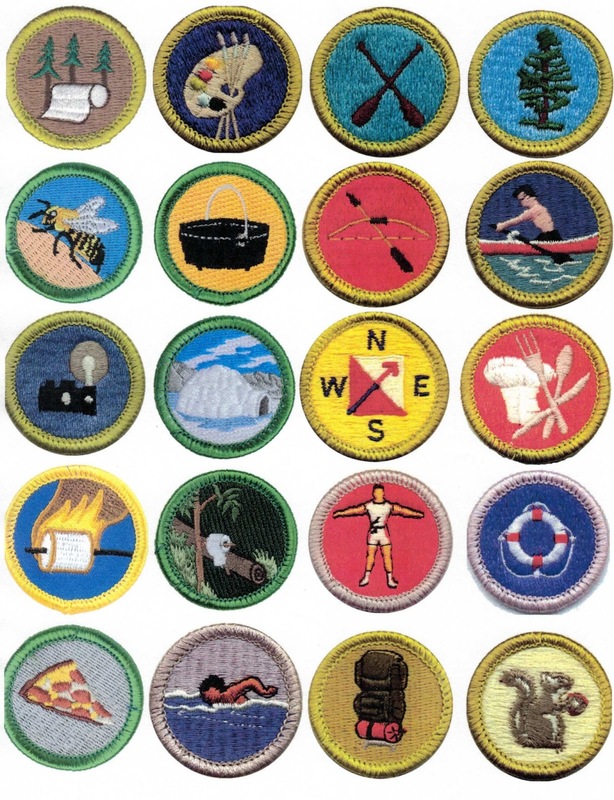 I had fishing, first aid, pancake eating, good sleeper, campfire safety, hot dog roasting, tent sleeping, squirrel and deer sighting, arts and crafts and so on! I even threw in some funny ones, like the puking award (which my oldest got) and the crying baby badge (which my youngest earned over and over again)! Seriously, they worked so hard and wanted to earn all the badges. 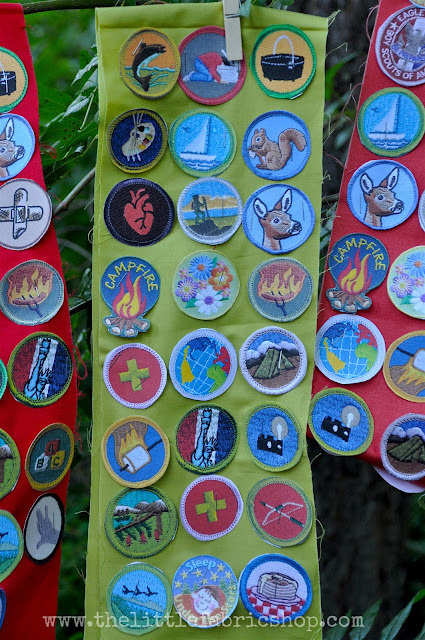 I had a few extra badges for being a good helper and they were all in competition to earn those! And did I mention they looked adorable doing it!!! I was DYING over their cuteness! 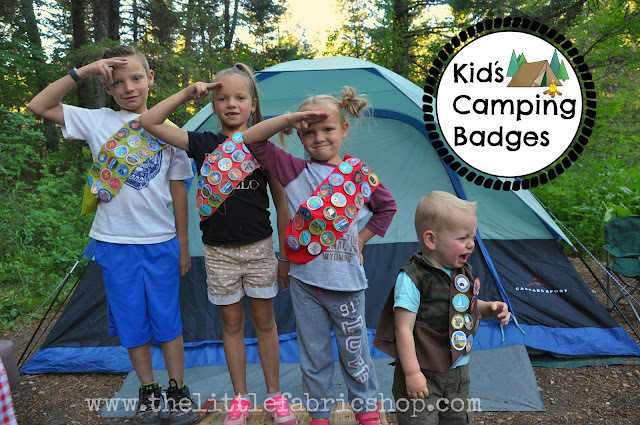 When the kids earned a patch, I cut it out of the card stock and then stapled it onto their sash. Super easy and convenient. I mean, who takes their sewing machine camping?? We are getting ready to head out on another trip and you better believe I have my Smore Quilt all packed up and ready to go! 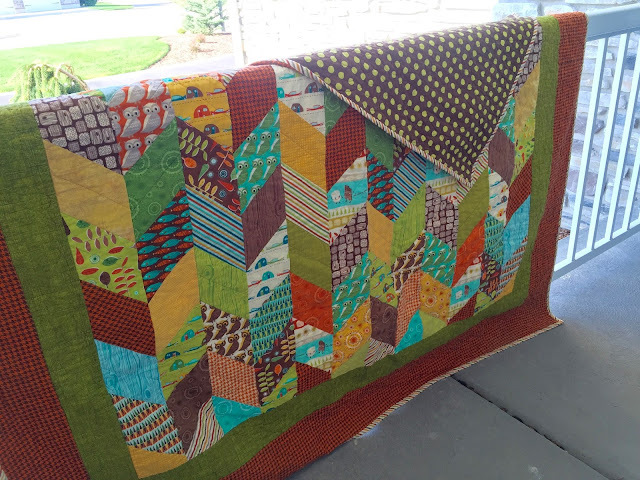 It is seriously my favorite quilt! 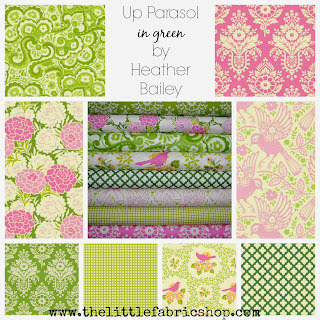 We still have tons of prints available in this adorable line, found HERE! 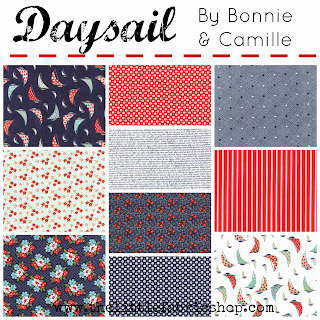 And remember, all the prints in the shop are 50% off and only $6/yard! So grab yourself some darling fabric and print these patches out and you all are set! Remember these are just for personal use ;) Just right-click the image and save it to your computer. Print it full page size. 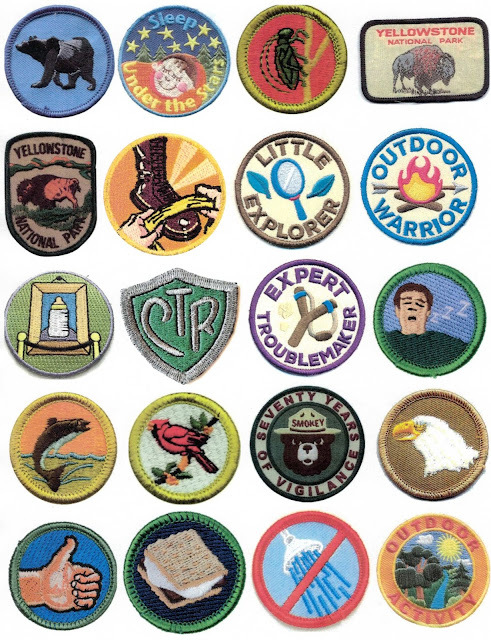 Here are some ideas of what I would use these patches for, but you could really be creative and customize them to your activities. These are geared towards my littles. This page below is kind of personalized for our Yellowstone Trip this week, but feel free to use them too! 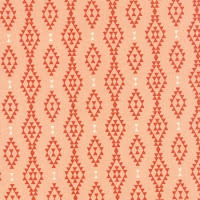 Finish off a bolt for only $5/Yard! First, let me thank all of you from the bottom of my little heart for your continued support of our shop! I wish I could give each one of you a hug, but I can't, so how about a little savings instead! 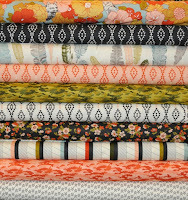 On top of our amazing sale, if you purchase all that we have left of a print, and finish off the bolt, you can have that entire selection for only $5/yard! All you need to do is add the remaining inventory listed for that print into your cart, and upon checkout write the phrase TAKEITALL in the message box during checkout (so me and my crazy mind can remember) and I will refund your savings back to your original form of payment upon shipping. 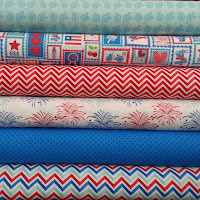 As long as you finish off the bolt (*1 yard or greater) you get it all for just $5/ yard! I am so excited to see so many of these! Each product has the remaining inventory listed next to the photo, as shown in the photo below. Just add it all to your cart and you can have it for $5/yard. No worries if you don't want all of it, you still get the amazing price of $6/yard. If there are any discrepancies in the the inventory when I fill your order, I will contact you and make sure the quantity will work. 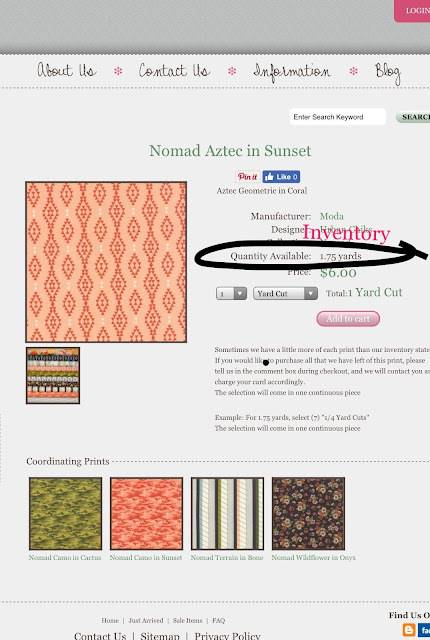 *To qualify the print must have more than 1 yard listed available. 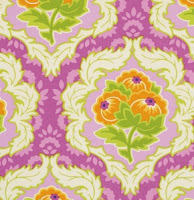 Anything smaller than 1 yard is considered a remnant and not included in the Take It All Sale. Knit is also excluded. 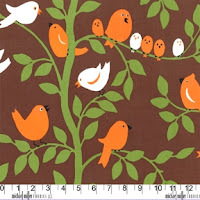 So you can get the 2 yards left of Tweetie for only $10! I could go on and on! 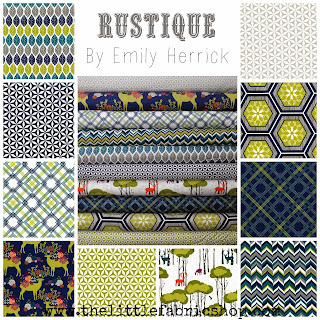 We still have hundreds of gorgeous designer prints in the shop looking for a new home! Help me clear out my shop so I can spend more time with my little people. Thank you as always, and Happy Sewing. Christmas Week is here! Are you ready? I mean here I sit on the computer when I should be wrapping presents and cleaning. Pretty much my life story, right? Well I have super great news for all you last minute shoppers! 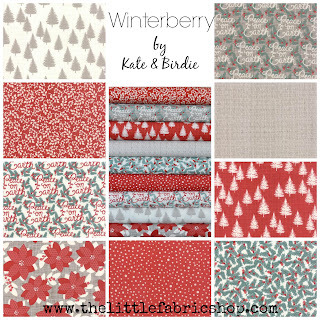 FREE CHRISTMAS FABRIC gift in your order! Every single order placed now through Friday will receive some Christmas fabric as a thank you for your continued support of my little shop. 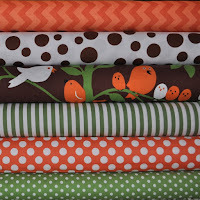 And don't forget, all the fabric in our shop is only $6/yard! That's wholesale pricing my friends! No code necessary, just place your order and await your surprise! And from my family to yours, Merry Always! * I've missed you all over the past few months. Thank you so much for your continued support of my little shop. We have cleared out about 1/2 of our inventory and still of thousands of yards for sale in our shop, only $6/yard! Now on to the Olympics! Have you all been watching? We LOVE the olympics over here, in fact we are obsessed! We were so excited to break out the Olympic Flag Quilt that I made for the last olympic games in 2014! I was a little hesitant at first, as I keep that baby all wrapped up and secured at the top of the linen closet, safe from all sticky fingers and Cheeto hands! But it was made to be enjoyed, so I took a leap of faith! My kids seriously love it. They love to look for the flags of the athletes when they are competing. And this kid just loves anything laid out on the floor for him. 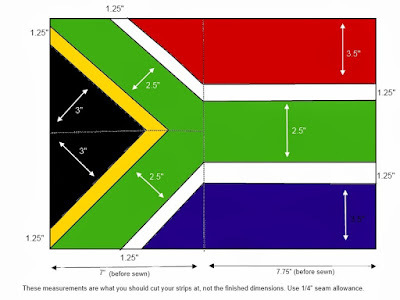 Did you know that we have a FREE tutorial here on the Blog for the flag blocks? 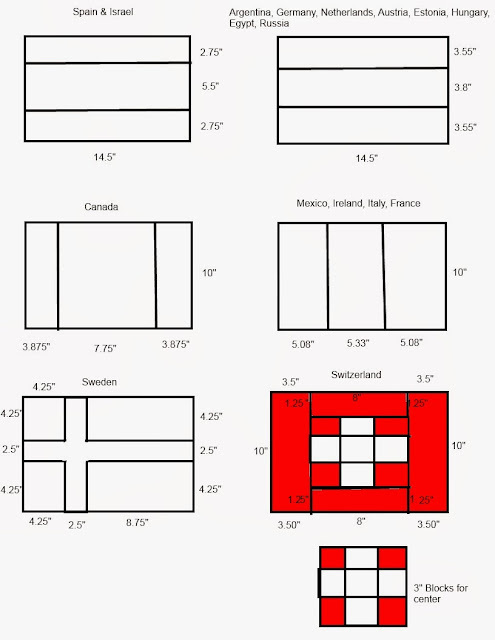 Go check it out and get started on your quilt. 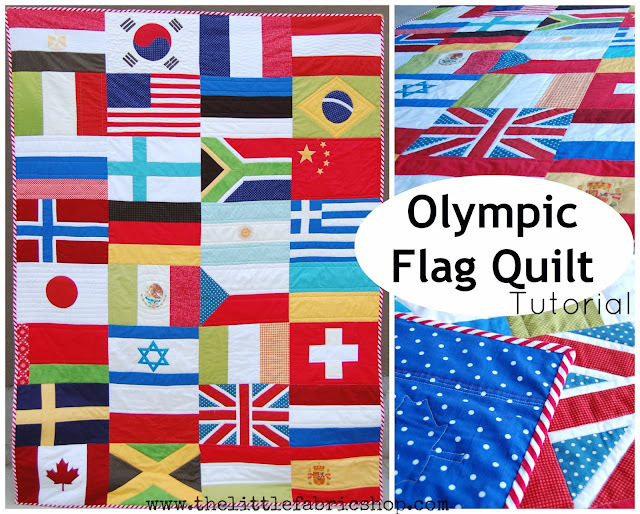 Maybe you are quick seamstress and could finish your quilt before these 2016 Olympics are over. Or maybe you are little bit more like me and you'll have yours finished for the 2018.....2020 Olympics. Either way let's get cracking! The tutorial isn't perfect, but it is a great start. I guess and eyeballed and prayed on a lot of the blocks. I'm sure that system will work for you too. Haha! 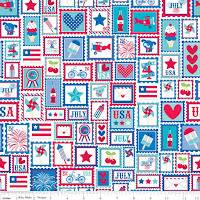 Happy sewing, and Happy Olympics! Our Huge Farewell SALE! 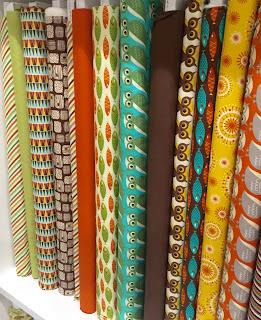 All Fabric Only $6/ Yard! My dearest customers and fellow fabric-a-holics, after lots of consideration and prayer I have decided that it's time to focus on my family and end my role as the owner and executor of The Little Fabric Shop . We will be open until the very last yard is cut and shipped. I look forward to filling your orders every night and love seeing the pictures you send me of the amazing things you have made. It is such inspiration! Over the last year I have felt torn between my love for running this little shop, and my love for taking care of my family. 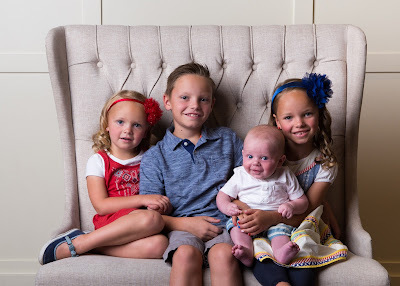 Right now I feel like my place is at home, devoting my time to these little stinkers. I might as well spend as much time with them as I can, while they still want to hang out with me, right? 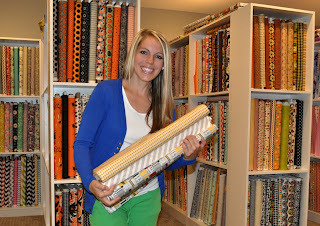 Although I am sad to say farewell to my fabric shop, I am excited for what is to come, and my life that lies ahead. 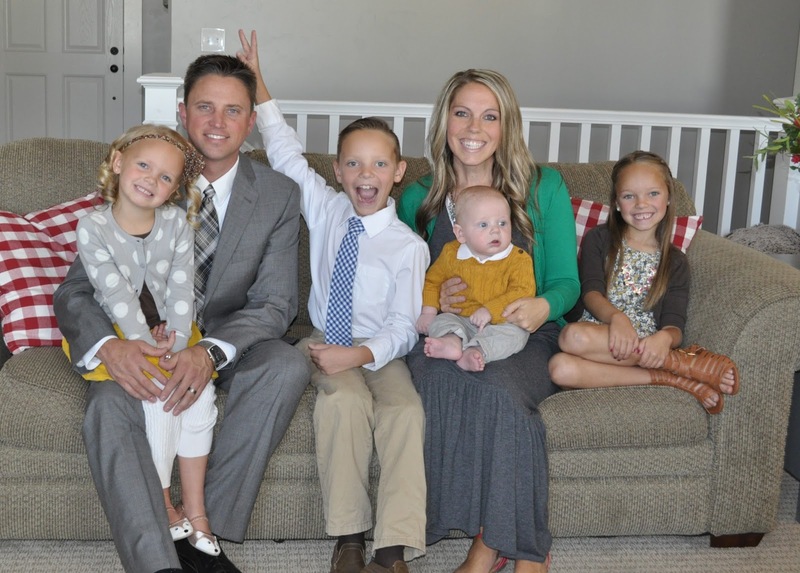 I started this shop when I had two little ones and was fighting cancer. It was a way for me to get away, and forget all my troubles. Your support over the years helped me pay for my treatments and get through some of the toughest years of my life. For that I can't thank you enough. To show you all how much I appreciate you, I want to give you a gift. 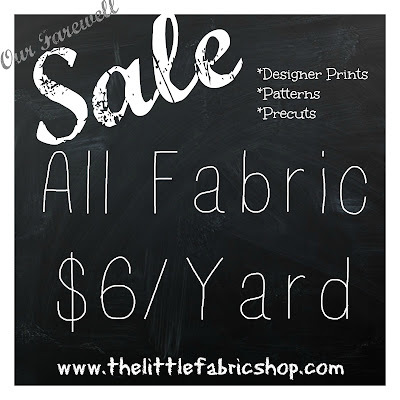 All the fabric in our shop is now only $6/ yard! Yes, you totally ready that correctly. That is pretty much wholesale pricing my friends. 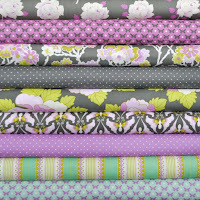 and all the patterns, precuts and trims are up to 50% off! So go grab your favorites, before they are gone for good. 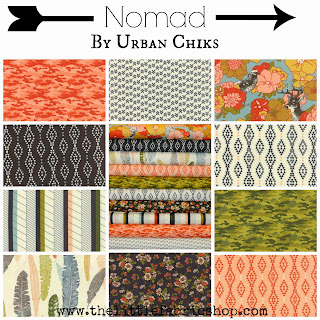 What you need for current projects, future projects, and of course stock up on quilt backings. Help me clear out my inventory so I can spend a little more time with these crazy people. Or any of these fabulous collections! With over 300 collections to choose from, I'm sure we've got something you'll love!